We working with top notch technology to give client unique and most efficient product to use. Our main focus to have a solution with least cost. We offer the excellent web development services based on our client's requirements and their business goals..
Search Engine Optimization (SEO) is essential for the success of any online business. Ethical SEO can help you..
Red Carpet Developer Pv. Ltd.
Red Carpet Developers Pvt. Ltd. (RCDPL) is well known in field of Real Estate for his excellence, commitment work in Delhi/NCR, India. Having a growing history of more than 10+ year put us ahead great in the market. Keeping track of our excellence history and server more than 10,000+ people and the list growing. As Growing list of customer not limited within India, we have from all over the global such as India, Dubai, USA, UK. ABOUT FB.COM: Friendblink.com was made to help people make local friends online. Why should anyone in this day and age be lonely, have nothing to do on a Friday night or not be able to find anyone to see that new movie in theaters they badly want to see? Friendblink allows users to search for local friends by their hobbies, interests or activities they engage in.. In addition, users can post activities they want to do on our "instang hang" page and allow other users to contact them. Make a profile today. You can search for users with similar interests or post an activity you want to do and see if anyone else is interested. BMF Carpet Cleaning works with many of the most renowned Home Builders in Katy and the surrounding Houston area. They count on us to make sure all of their model and inventory homes are in top shape. We also work with many well-known restaurants and office buildings in the greater Houston area. All In Movers is one of the Best Moving Companies in Houston, TX and surrounding areas! Katy, TX (77450, 77449, 77494), Cypress, TX (77433 77429), and Sugarland, TX (77478 & 77479) These are the areas of either origination or destination or both for the majority of our relocations, so we wanted to give a little information about some of the areas and ourselves. 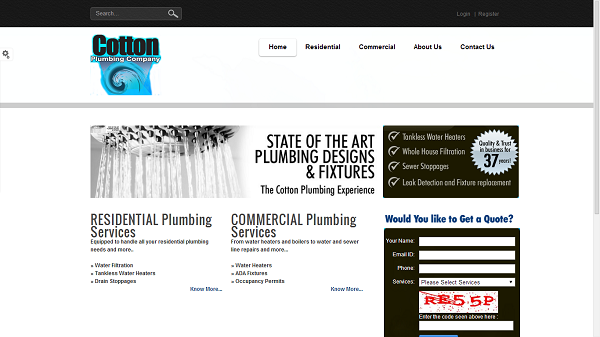 Cotton Plumbing Company, USA. The portal was developed on DotNetNuke to deliver company related information. Along with the project having few modules that are related with the Administrator to manage it customers. Posh Salon & Spa is the place to be in Katy TX for the highest quality hair services including hair coloring, straightening, toning and perming. The salon is overseen by our internationally trained hair stylist – Marci. With over 18 years of experience working in the finest salons and spas in Katy, Marci specializes in all latest European hair styles. She has expertise in creating beautiful and wearable styles that are tailored to your face shape, personality and lifestyle. 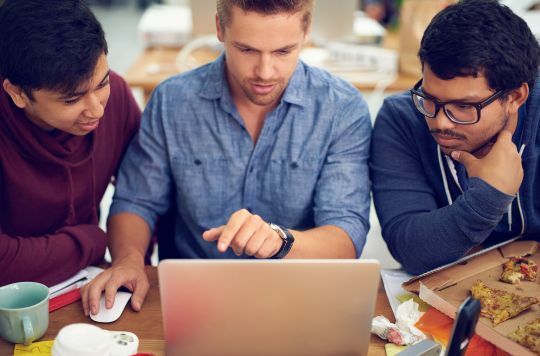 Jha is extremely well versed in database programming and DNN design. I was very impressed by his Team skills and the project he completed for me. I would recommend him for any such work. Super work done in quick time. Nice working experience in DNN environment. We are moving with this provider on hourly basis. Very good on communication.